BARC Recruitment 2018.Bhabha Atomic Research Centre has released a notification for the recruitment of Trade Apprentice vacancies.Check the eligiblity and notification prior to apply for the positions. In case the response is more, the selection will be restricted to those with high percentage of marks in SSC, plus Vocational course certificate/ Diploma as assessed suitable and candidates who have recently completed the course. 1. 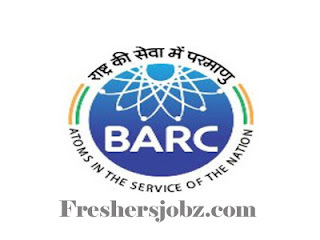 Application forms in accordance with the prescribed format in English or Hindi and complete in all respects with superscription on the envelope “APPLICATION FOR APPRENTICESHIP TRAINING I APPLICATION FOR APPRENTICESHIP TRAINING IN BARC” may be sent to DEPUTY ESTABLISHMENT OFFICER (R OFFICER (R-V), BHABHA ATOMIC RESEARCH CENTRE, TROMBAY, V), BHABHA ATOMIC RESEARCH CENTRE, TROMBAY, MUMBAI-400 085 on or before 05.11.2018. 2. PHOTOGRAPH :- A recent Passport size photograph should be pasted on the right hand top corner of the application and should be signed across by the candidate. (a) Educational and Technical Qualifications (supported by appropriate marks sheets indicating the subjects offered at the examinations).